Most people think of sunglasses are for the summer months. The other day, I was at a festival and saw grown ups wearing sunglasses while their children went without. This seems a little odd to me. If the sun is hurting your eyes, imagine what it is doing to your child's eyes. Because children's eyes are developing, proper eye health is very important. From yearly eye check ups to making sure they are protected from the sun, there are are many things you can do to make sure their eyes are protected. When you are purchasing sunglasses for your child, it is important that they protect against UVA and UVB. If you are buying dollar store sunglasses, chances are, they are not. Many children's sunglasses are merely a gimmick. They are designed to look cute, not to keep little eyes safe. That is why we LOVE Real Kids Shades. Not only are they designed to protect children's eyes, but they also are fun and stylish, so your children will WANT to wear them. They make many different styles to fit different lifestyles included more fashion oriented sunglasses for your tween to more active sunglasses for your sports players! My daughter loves these Fabulous Sunglasses in white, which is a brand new color they are introducing this Fall! You can see that they are very fashionable for my tween, and she loves to wear them. She thinks she looks very cool in them! 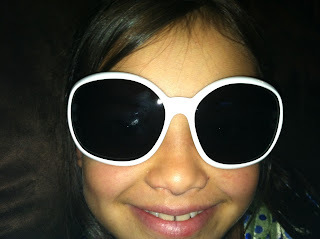 My youngest LOVES the My First Shades in Pink Daisy. She loves the design, and I love that they wrap around her head (so she does not pull them off every two seconds. The band is completely adjustable. Perhaps one of the best features are the Xtreme Sport and Xtreme Element. 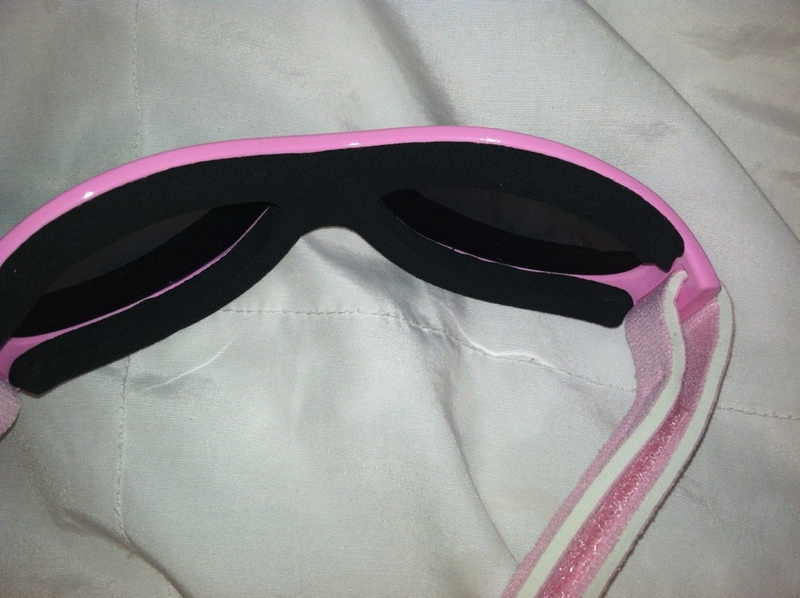 These are the glasses in Pink (Xtreme Element). The have a padding around the eyes, which is great for outdoors sports. I know we will use them often for skiing. You can also clearly see here the velcro attachment, which allows you to adjust the glasses to your child's needs. I know we will be using these plenty while skiing! The Xteme Sport are very similar, but feature a mesh back and fog vents on the sides. We were fortunate to try out several different pairs for children that were 2, 5, and 9, and we loved them all! And don't forget the fabulous savings they have right now that we posted about earlier this week HERE! AND to enter ti win a $250 VISA Gift Card HERE! Stay tuned for a giveaway coming soon!!!!! 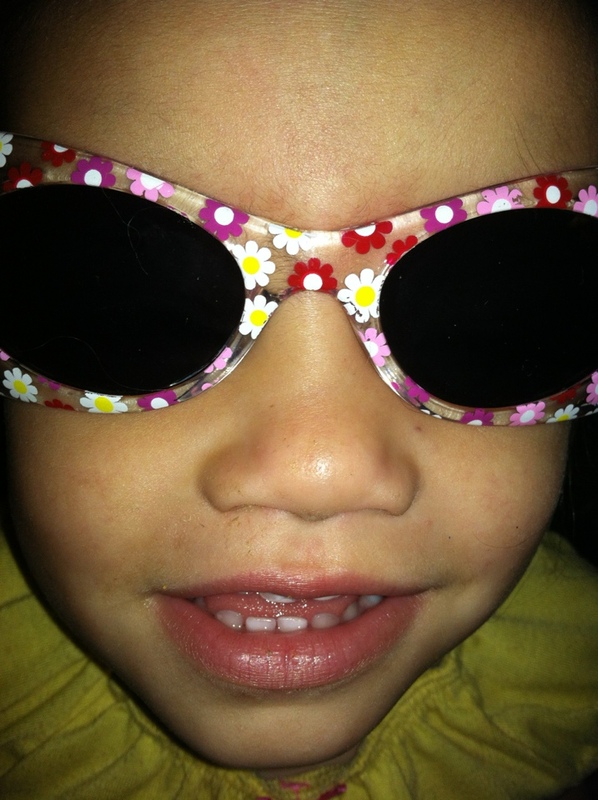 MamaBreak received samples of Real Kids Shades so that we could share our review with you. We did not receive any other type of compensation. As always, our opinions and experiences are our own. Ok thats just too cute! super cute!! I love the pink!! These are perfect for little ones thank you for sharing such a great review. It's nice to see they are good for kids' eyes. I wasn't aware that cheap glasses were so bad at protecting eyes! How cute! I love them I wish I had a little one to buy them for. Awww, they're cute! I should check them out even though it's a job trying to keep sunglasses or hats on my daughter.